Melissa Gifford - Independent Stampin' Up!® Demonstrator: Gifts for friends - wrapped in DSP of course! Gifts for friends - wrapped in DSP of course! 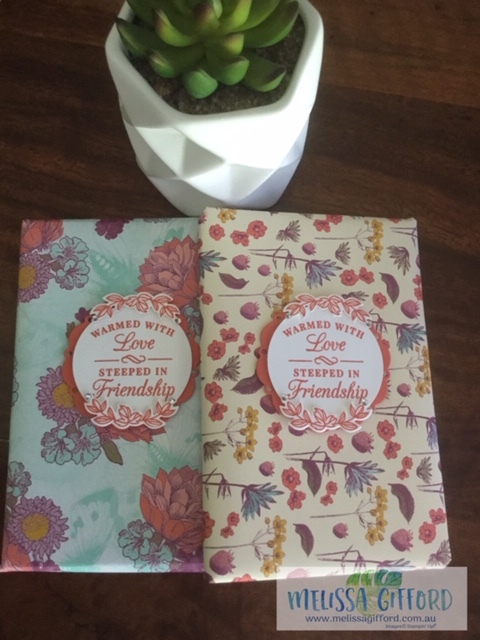 I love giving gifts and I also love wrapping them up in our beautiful designer series papers. These patterns are from the Tea Room designer series pack. I love all the patterns in this pack. After wrapping the gifts I wanted to make a coordinating tag with the matching Time for Tea stamp set and Dies. I thought the sentiment was so appropriate for these.